Mt. 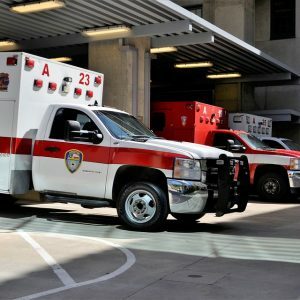 Pleasant, TX (March 31, 2019) Five people were killed and four others were injured in two devastating fatal traffic accidents in Mount Pleasant. The horrific traffic accident occurred on March 22, 2019, at Interstate 30 near Jefferson Avenue exit. A U-Haul truck was involved in a fatal crash at approximately 7:15 in the morning on I-30. The U-Haul truck was towing a trailer behind it when the incident occurred. This crash did involve a fatality. Approximately one hour later, in about the same location, an 18-wheeler driven by Wanda Gebhart from Tennessee, 64, rear-ended a minivan. Gebhart died as a result of this accident. The minivan was being driven by Jessica Brokish who was driving her husband and three children when they were hit from behind by the semi. Sadly, Jessica Brokish, 41-years-old, her three children, perished at the scene. Her husband, Jeffery Brokish, 42, was medi-vacced to a trauma center in Tyler where he is in ICU in stable condition. Several 18-wheelers were involved, occupied by Carlos Martinez, Juan Martinez, Ravshan Ibragim, and Abdul Al-Shaibani were also impacted by the crash. The drivers and passengers of these 18-wheelers were sent to the hospital with minor injuries. Authorities are still investigating the scene. We would like to offer our sincere condolences to Jeffery Brokish and the family members of Jessica Brokish, their children, and their loved ones and friends. Our thoughts and prayers go out to everyone who was involved in these series of fatal incidents. We hope that everyone will be able to recover from their injuries. 18-wheeler trucks may be important to our economy but they can also be extremely dangerous to other motorists. These massive vehicles have the potential to easily injure or even kill other motorists. For this reason, it is important that the drivers of these massive vehicles follow all proper truck regulations while transporting their cargo. However, many truck accidents are caused by the negligence of some drivers. In 2017, there were 449 people killed by the result of distracted driving. If you or a loved one were seriously injured due to someone’s negligence, contact a professional Texas truck accident lawyer today. The Brenton Law Firm has years of experience with winning compensation for victims of truck accidents. Your loved one shouldn’t have to suffer physical, mental, or financial harm because of someone’s negligence. The Brenton Law Firm features professional lawyers that fully understand the laws regarding truck regulations and will help you win your compensation. The Brenton Law Firm also features many practice areas for all of your personal injury needs. If you or a loved one are in need of a Texas truck accident lawyer, call The Brenton Law Firm at (214) 219-4878.